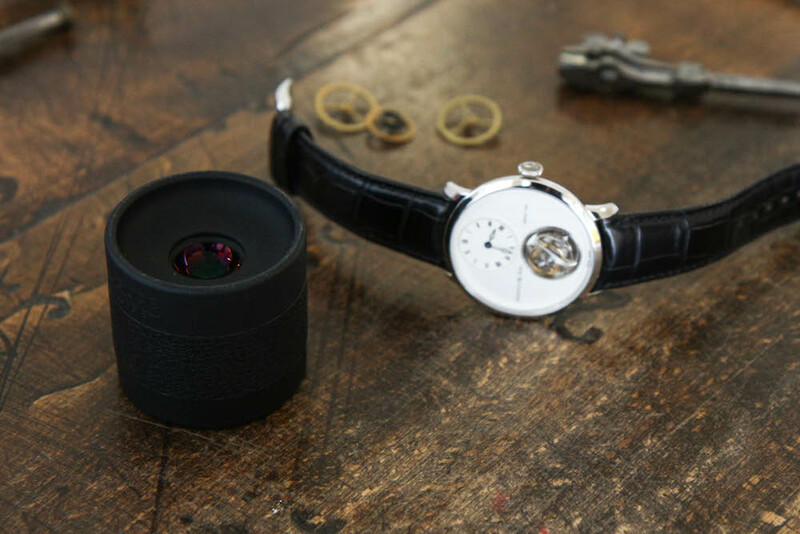 Allow me to share with you the most game-changing horological item I’ve acquired this year, the Loupe System. Like many of you I’m sure, I’ve received my fair share of branded loupes from my AD and brand events over the years. While they do make for nice collectibles and souvenirs, I never use them for the simple fact that the image quality wasn’t satisfying. The distortion, narrow field of view and shallow depth of field were more migraine-inducing than anything else. Little did I know that I was feasting my eyes on the single greatest loupe ever made for appreciating watches, the Loupe System. My friend allowed me to give it a try for the 30 seconds or so I had before having rush off to my next appointment, but that was all it took. I placed my order for one as soon as I got back home that night. A week later I received a mail slip from my local post office informing me that a package had arrived for me. As I wasn’t expecting any other parcels, I knew it had to be the Loupe System. When I got to the post office however, the parcel was much larger than I was expecting. No way my loupe was in there. Perhaps the Mrs. had ordered yet another pair of shoes online? Disheartened, I took the package and headed home. It wasn’t only after I arrived that I bothered to actually read the shipping label, and it turns out it was from Loupe System after all. 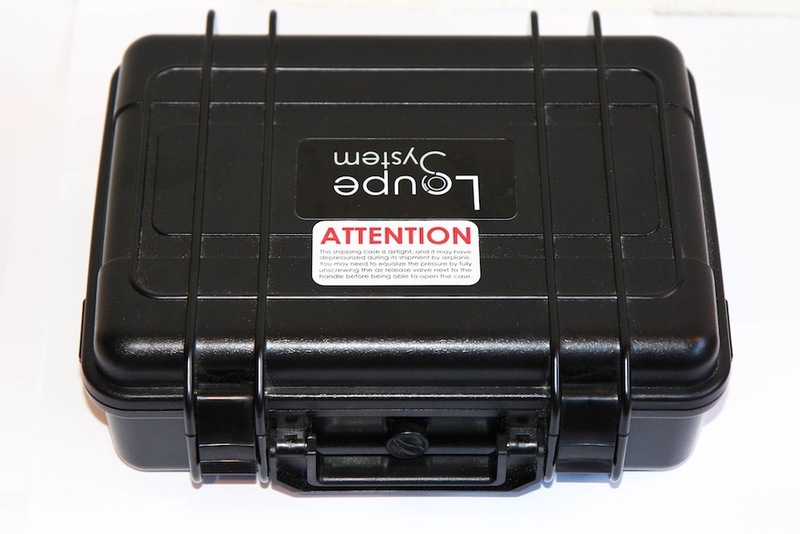 The lens came in a sturdy ABS waterproof case with a few accessories like a travelling case, a carrying pouch, a cleaning cloth and an additional changeable top element for the lens. In the carton was also a foam insert with pre-cut slots, allowing the ABS case to double as a 4-watch carrying case. Whoever thought of this has to be a watch collector! I guess I wasn’t too far off in thinking the loupe System was a lens at firsts sight, as the design and construction is in fact inspired from an 80’s camera lens. 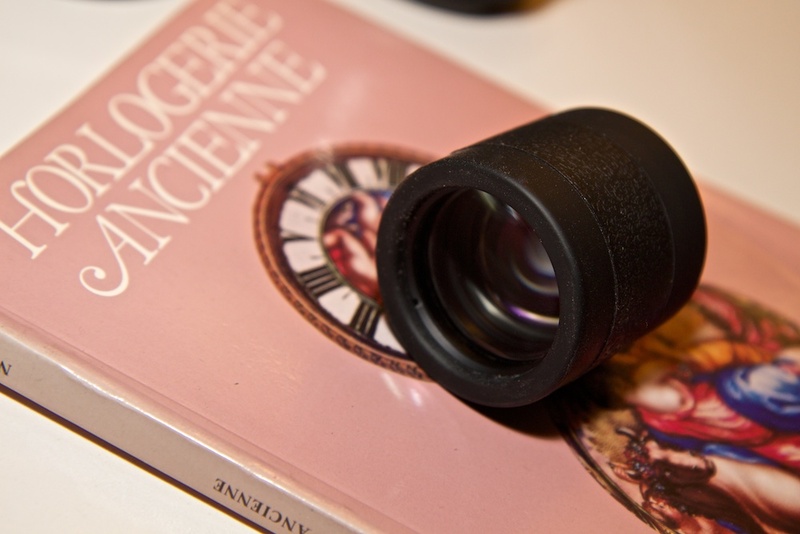 Just like that lens, the Loupe System is made of five multi-coated lenses, laid out in a unique arrangement of two doublets with a single lens in the center. 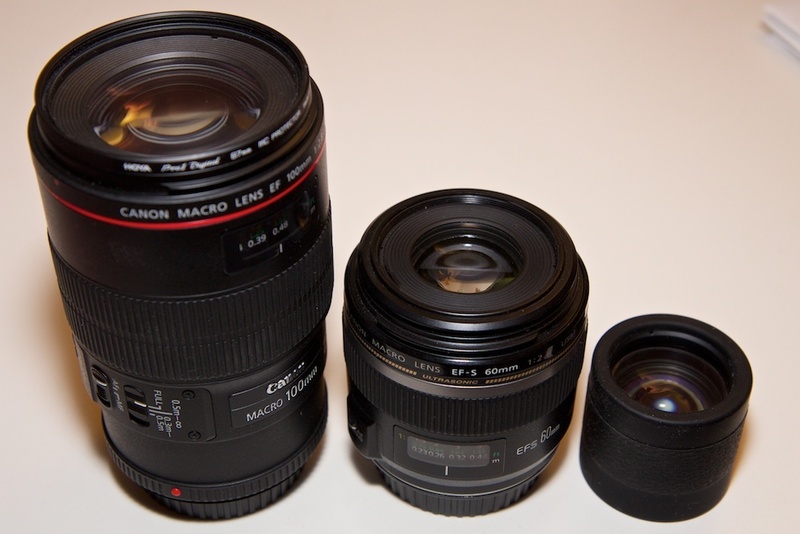 The central lens magnifies the image by a factor of 6x, while the two doublets correct any optical distortion produced. The lenses are housed in a light but rigid black aluminum casing, covered in soft food-grade silicone for added shock resistance and a better grip. The silicone rubber is great because it allows you to get really close to a watch without having to worry about scratching it. It’s a bit of a dust magnet, but is super easy to clean thanks to the removable top and bottom elements than can be washed. I opted for the entry-level model with the central element in black rubber, but this can be had in more exotic materials like carbon fiber and alligator leather. 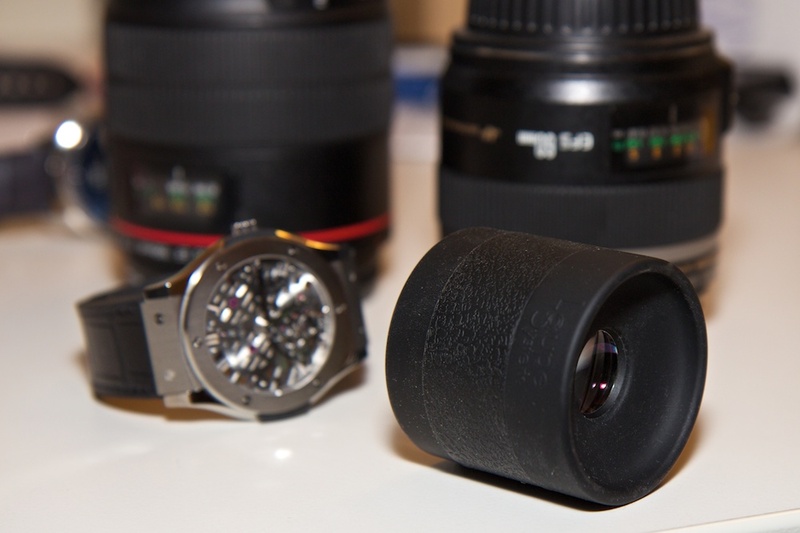 The result is a lens made specifically for a watch lover’s needs. The field-of-view is wider than any handheld loupe out there, offering a 40mm or 50mm wide view (depending on the top element attached). This offers a view the entire dial or movement of a watch without having to move the lens around. Right up to the edges, the entire view is perfectly in focus. At this level of magnification I find the long depth of field quite spectacular, as you really get to appreciate all the different levels of a movement or dial without having to pan in and out as you would with a standard loupe. Looking through the Loupe System is like looking at a watch in full 1080p HD. 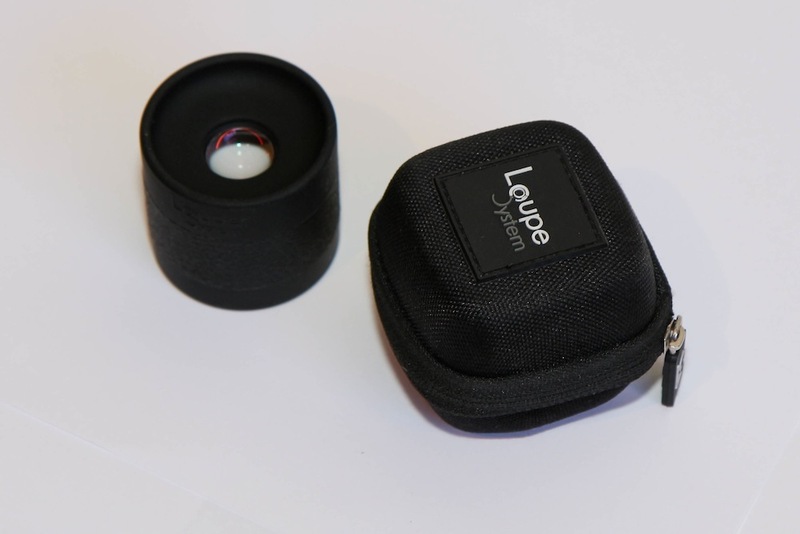 As I mentioned earlier, the Loupe System has a modular construction. Aside from the two interchangeable top elements that allow different depths-of-field and making the silicone rubber elements easy to clean and swap if need be, other accessories are in the works. 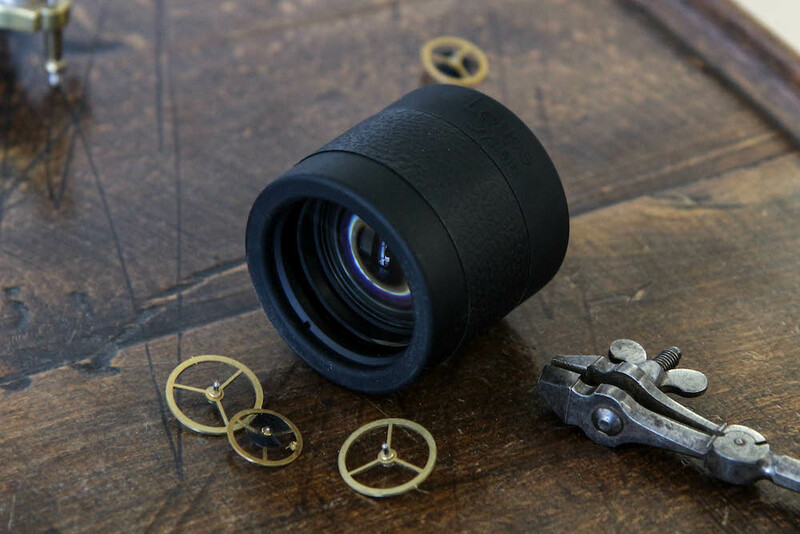 There’s an iPhone case coming out with a mount that transforms the Loupe System into an on-the-go macro lens. There’s also an illuminating ring attachment in the pipeline for viewing under just about any lighting condition. Heck, they’re even working on an attachable USB video camera! The only con I’ve experienced with the Loupe System is its ability to turn you off of certain watches. Its ability to dramatize every detail means that rough angles and industrially finished components became nightmarishly vivid. Even in my own collection, the Loupe System has showed me things I wish I had never seen. It’s no wonder than more and more independent and high-end watchmakers like Philippe Dufour and Greubel Forsey have adopted the Loupe System. Proper hand finishing can finally be appreciated to the fullest. Finally, let’s talk about the price. 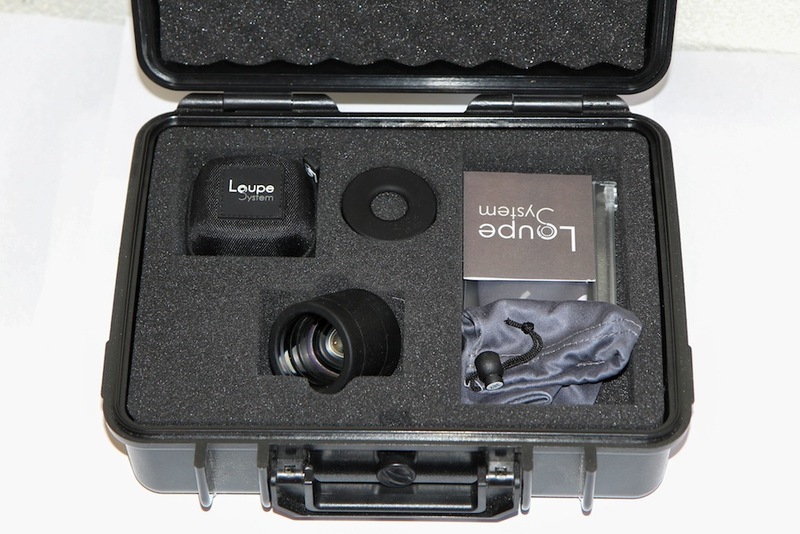 At $375 for the entry-level rubber model, the Loupe System certainly isn’t cheap. But putting things into perspective, that’s not even enough to purchase an OEM leather strap from a top-tier brand nowadays. 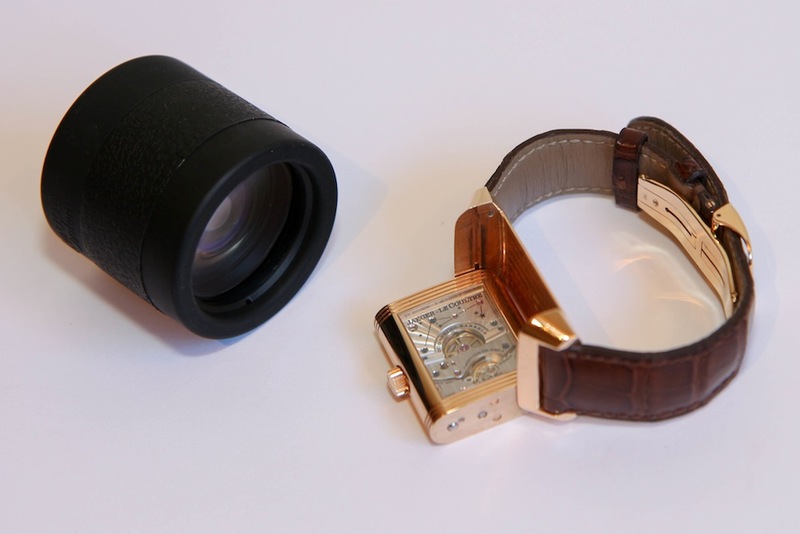 If you’re dropping 5 or 6 figures on a watch, then the Loupe System is a small investment to get the most horological bang for your buck.